I have criticised the decision to introduce 26 metre vehicles before, but there could be more problems than just the need to increase clearances. The basic loading gauge on Network Rail remains the C1, which applies to vehicles 20 metres long with bogie centres 14.17 metres apart, and a width of 2.82 metres. These are the mark 1 dimensions, and they are perpetuated in the latest stock built for lines south of London. The C3 loading gauge was introduced in the mid-1970s and allowed the use of vehicles 23 metres long with a bogie spacing of 16 metres between centres. The width was reduced to 2.74 metres, which made them- the mark 3 stock - no narrower than mark 1 stock which had projecting hinges and door handles. Because the bogie centres are 3.5 metres from the ends, it was necessary to taper the vehicles at the ends, which comprised the vestibule areas. Initially, the routes on which mark 3 stock were limited but over the years clearances have been improved to allow them to operate over much of the system. The distance between the bogie centres and the ends means that relative movement between adjacent vehicles is more than with 20 metre stock, which imposes stresses on the coupling and gangways, especially on curves, and that in turn can affect ride quality and cause additional wear and tear. Ride quality was a particular problem with mark 4 stock initially. Network Rail has decided to create a new Inter-City gauge to allow 26 metre long vehicles and this is where things get really interesting. The bogie spacing for the IEP vehicles, designed for this new gauge, has not yet been published. 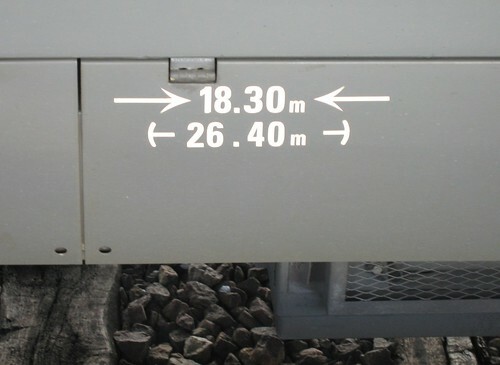 The normal bogie spacing on 26 metre vehicles is around 20 metres between centres (SNCF Corail stock above). But because the centre overthrow is proportional to the square of the distance between bogie centres, either the clearance works to accommodate the longer vehicles would be considerable, or the vehicles would have to be narrower, or the bogie centres will have to be closer together. The IEP width is given as 2.75 ie wider than mark 3. There is some scope for reducing tolerances by controlling the infrastructure more tightly, which will help somewhat. However, it has been suggested that the bogie spacing on the IEP could be between 17 and 18 metres. The lower figure would reduce overthrow but at the cost of an increased distance between the bogie centre and the ends of the vehicles. A 17 metre spacing would give 4.5 metres overhang at each end. The question that then arises is what the effect of this will be on the inter-action between adjacent vehicles and what will that do for their dynamics? That this is a potential issue is known from experience with mark 4 stock when it is first introduced. What with this and bi-mode, a long period of teething troubles should come as no surprise. 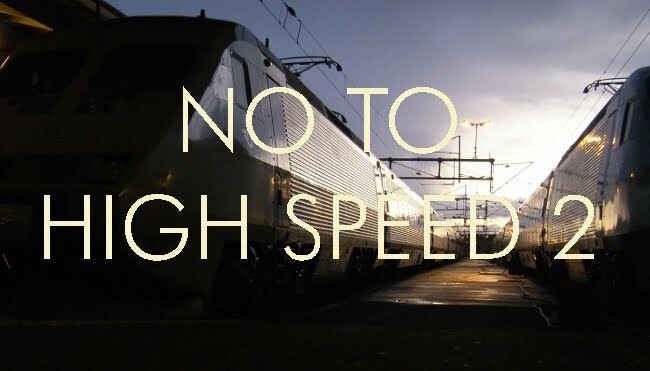 The worst case scenario cannot be ruled out: the fiasco of the Danish IC4 trains which have never operated as intended.